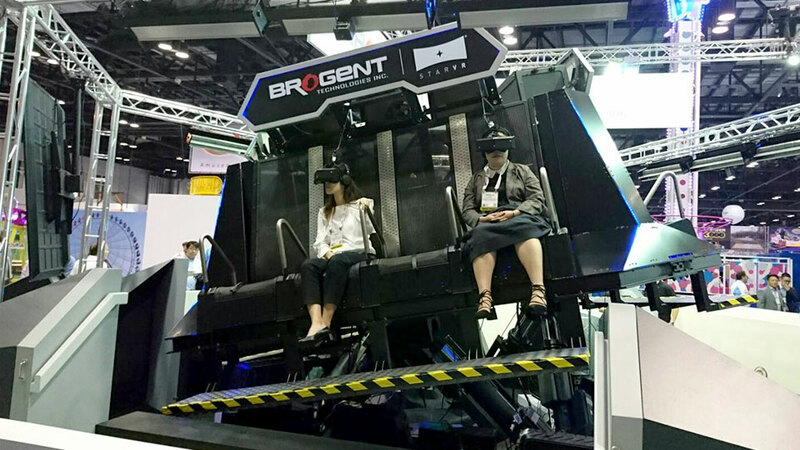 Cutting Edge has delivered a world first VR theme park ride for Brogent Technologies. 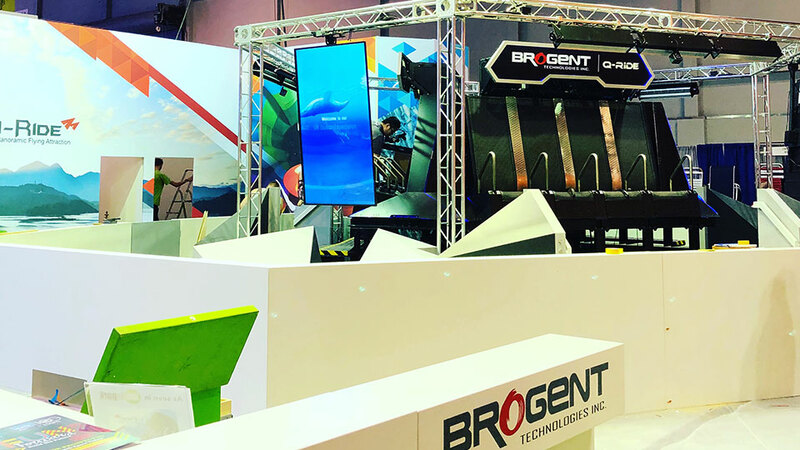 Brogent Technologies is a world-leading producer of innovative theme park attractions. 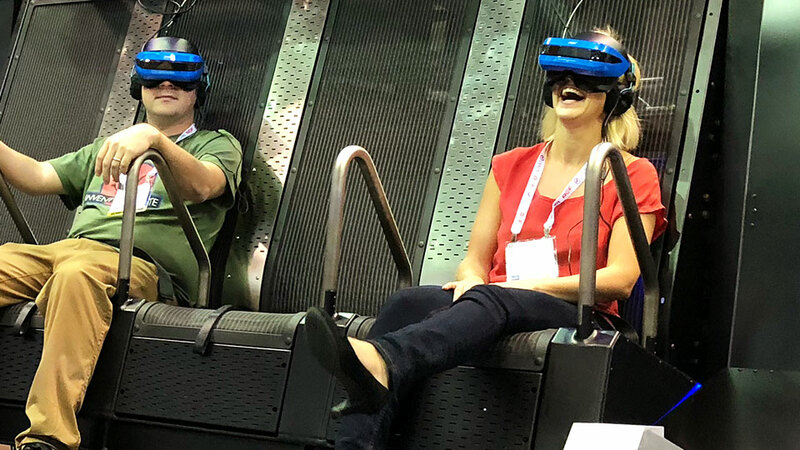 Titled ‘Q-Ride’, the virtual reality ride debuted at the IAAPA Attractions Expo held in Orlando, USA. 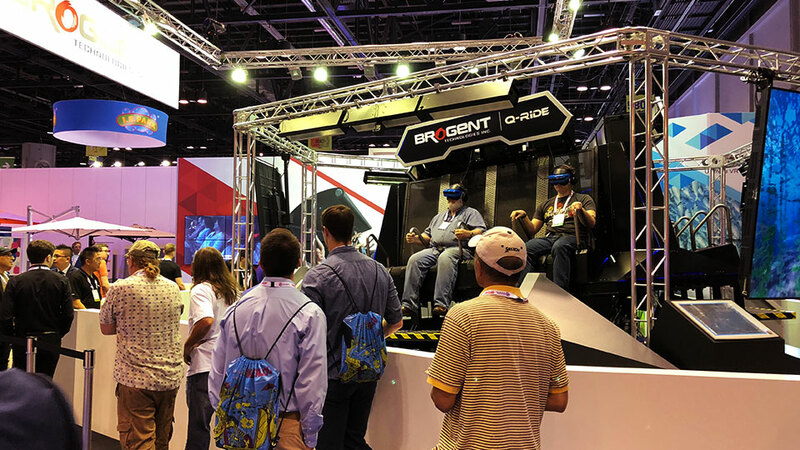 Cutting Edge’s team created a virtual reality experience that used the innovative technology to create a breathtaking underwater experience. Q-Ride features a 360-degree view with unique vision dependant upon where the participant is seated. The movement of the seats is synched with the vision to enhance the experience. 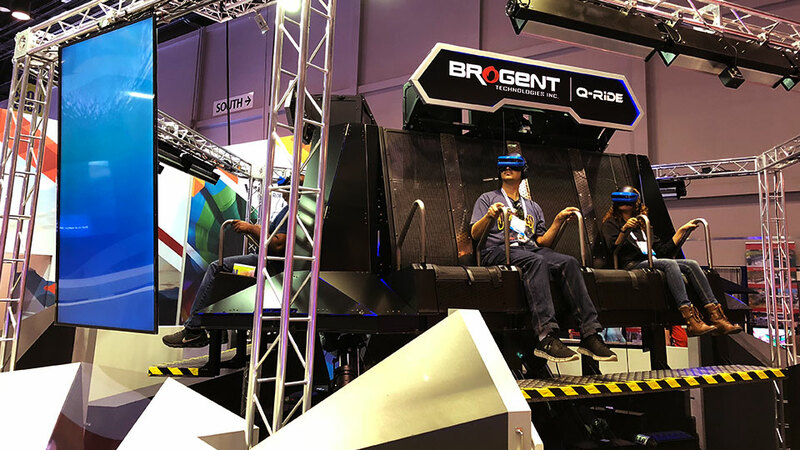 “Our ride controls the motion and guests have the freedom to choose where they look,” explains Andy Kiang, Director of Innovation for Brogent Technologies. The content is the perfect compliment for a ride experience with such sophisticated tech. Cutting Edge’s Simon Maddison was both the projects VFX Supervisor and Director. 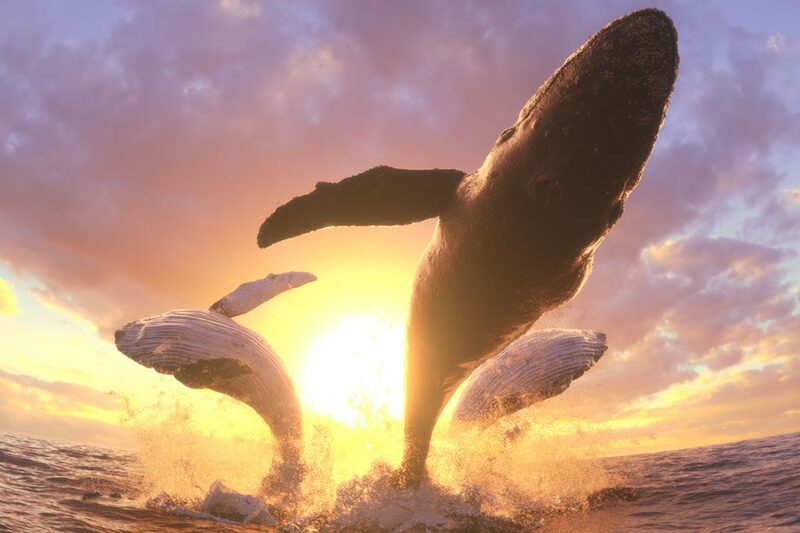 “Our client knew they wanted to give the audience the chance to explore an underwater landscape and we scripted a journey that transported them to a fully immersive world, rich with sea life. 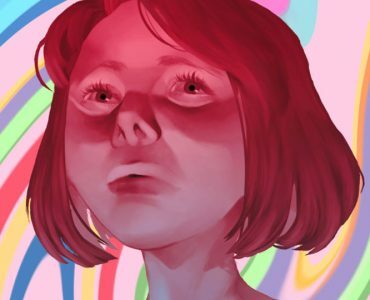 Ride-goers will float through a world of rays, schools of fish, dolphins, and whales,” explained Maddison.